Bowerhaus is a brand that began in Australia, but now truly encompasses the world. Inspired by everything from their father’s vintage coin collection to precious stones from far-away shores such as India, Japan, Italy and China, sisters Shen-Tel Lee and Elizabeth bring to you some of the most unique and ravishing jewellery around. 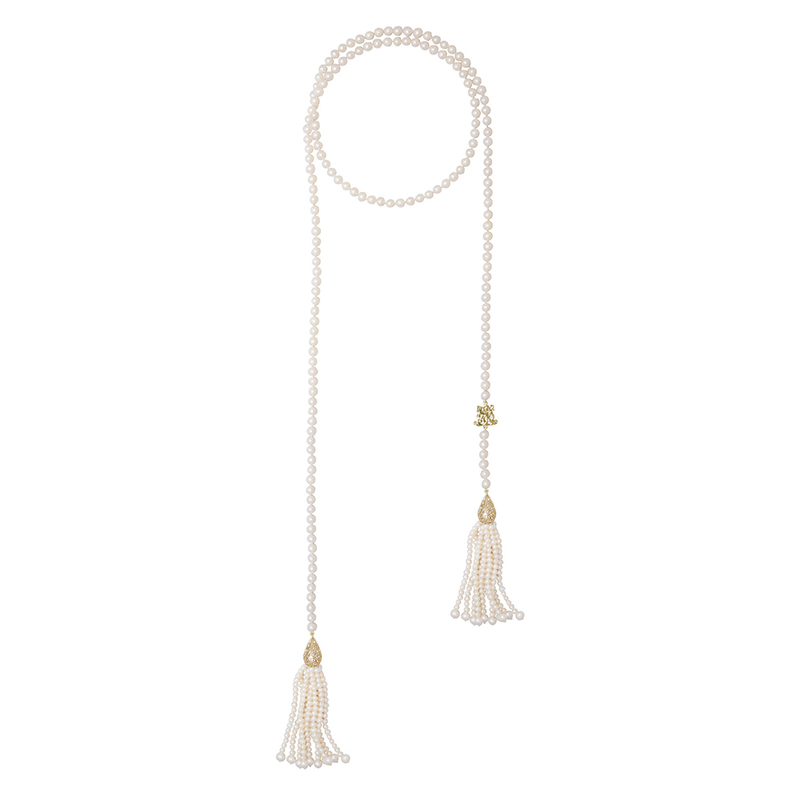 Indulge someone you know and love, with a Diamonds & Pearls Double Tassel Wrap Necklace. A lustrous string of white freshwater pearls beautifully accompanied by a rhodium plated Bowerhaus charm and two stunning freshwater pearl tassels embellished with diamante accents that finished off each end. An elegant wrap around necklace, perfect for layering and mixing and matching colours. Made from white freshwater pearls, diamante accents and a rhodium-plated Bowerhaus logo. A stunning wrap around necklace. Features freshwater pearls accompanied by a silver-plated Bowerhaus charm and two freshwater pearl tassels on each end. Beautifully presented in a Bowerhaus gift box.